In Waze We Trust – a PM’s Perspective. Since we spend so much time in the car, and we have a three-month-old son who only sleeps when the car is in motion, avoiding traffic is absolutely critical. So, when we drive, we always use Waze. I love the app. If you haven’t heard of it, or you haven’t tried it – you should. It’s amazing. It’s saved me from sitting in traffic so many times, I can’t even count. However, there are some things that could be better about the app. 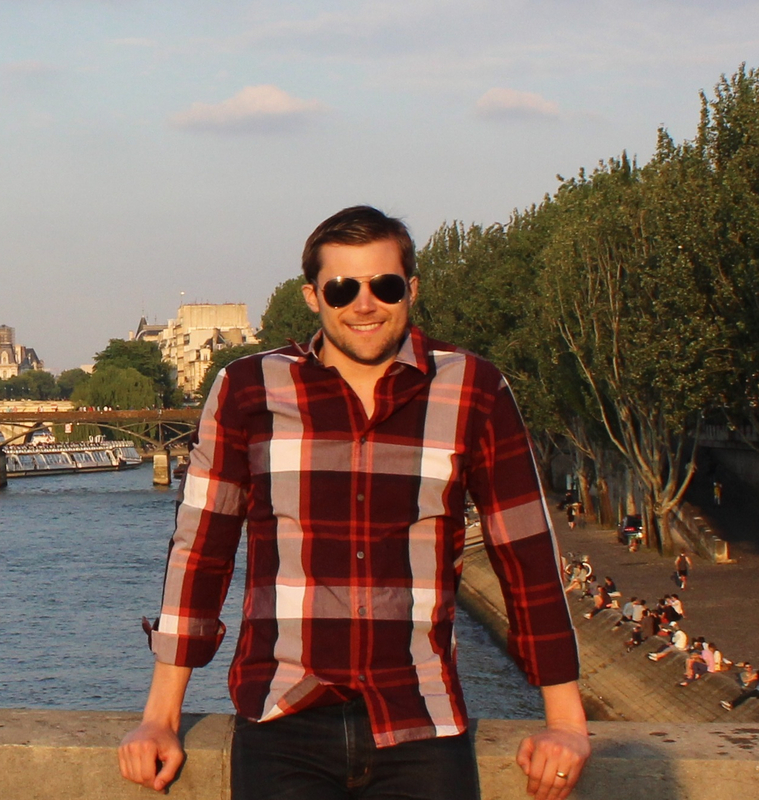 So, allow me to get up on my product manager soapbox for a minute. For those who use the app, this will be a familiar concept. It means that you have to trust that the app is sending you the route that is really the fastest. Unlike other map apps, Waze will often guide you to your destination via a route that is much longer (by distance) and much less direct than the “shortest” path. Waze does this with the goal of helping you avoid traffic, and therefore get to your destination faster. Because of Waze’s non-traditional routes, it can sometimes be very hard to believe that Waze is really helping you get to your destination faster. 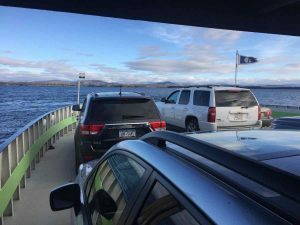 For those of you who follow me on twitter, you may remember that recently on a trip to Vermont Waze (without flagging anything unusual) guided me to drive onto a ferry (yes – a car-carrying-boat). This picture was taken on the ferry cruising across Lake Champlain at a steady 10 knots. (Hilariously, Waze continued to issue verbal directions even while we were parked on the boat – as if to instruct the ferry driver where to go). By all normal logic, this was a ridiculous way to get to our final destination. It was far from the most direct path, and on top of that, just waiting for the ferry took 30 minutes and then the ferry itself took another 45 minutes. The most direct route to get to Vermont from New York is via I-91 (cut up through New Hampshire). The drive usually takes around five to six hours. The route Waze directed us took over 7 hours: up I-95 to I-90, then over to I-87, then across the lake on a boat. On the map above, you can see the “most direct route” in green, vs. the route Waze took us in Purple. Here’s the rub: it’s impossible for me to know whether Waze took us the fastest route or not. Maybe, as we were passing Hartford there was a major accident on I-91 that Waze helped us avoid. Maybe there was construction that caused a 10 mile-backup. Who knows! All I can tell you is sitting on that boat, slowly crawling across Lake Champlain, I was wondering to myself – do I really still trust Waze? I can imagine for many, an experience like this would have destroyed their trust in the app. That’s the problem. People lose trust in Waze and stop using the app. OK – here’s what I would do to fix this problem. You have to show people the traffic they’re avoiding. Standard Map Apps: Routes you through the most direct route to your destination and estimates the time it will take to get there (basically, estimates the traffic you’re going to be waiting in). Most map apps are not willing to make major route changes to avoid traffic. Waze: Waze, using their crowd-sourced traffic data from the app combined with lots of other data sources, is willing to make extreme (and sometimes difficult to believe) route changes to help you avoid traffic. Here’s the principle I’m advocating for Waze: Seeing is believing. Show the driver the traffic they’re avoiding. For instance – if I was sitting on that ferry and looking at the Waze app – and they were showing me a HUGE block of traffic on I-91 or maybe even a little icon indicating an accident on I-91 – then I would have been perfectly happy to pay $18 and take a 45-minute ferry. I could sit there on the boat knowing that I was smarter than all of those poor suckers stuck in traffic on I-91. However, without seeing the delays I’m avoiding, I really don’t know if the boat was the fastest way. Perhaps in this case, I was the sucker. When the driver starts a new trip show the driver, on the map, both the “most direct route” and the “Waze preferred route.” It could look somewhat like the map mockup earlier in this post. Show both routes in terms of distance (miles or km) and time. That way you can see how much time Waze is saving you vs. the most direct route. Also in the “start trip” phase, allow a driver to drill down and step through each “delay” that Waze detected on the “most direct route” that triggered Waze to recommend the alternate route. Jumping and zooming from one delay to the next would be a cool visual effect allow the user to see all of the nastiness they’re avoiding by using Waze. During a trip, whenever Waze finds a faster route (or detects a slowdown) and diverts the driver (there is currently a popup saying “we found a faster route”) – also have the map jump forward to the spot on the map that created the delay and show the driver the traffic they’re avoiding. Note – same principle can apply to the “delayed arrival” notification and the “improved arrival time” notification – just show the traffic issue that has just been created or recently resolved). I guarantee these three product enhancements will help more people trust Waze. More trust = better user retention and more satisfied customers. Also – currently Waze does no paid advertising. They rely solely on word of mouth (and, I suppose, blog posts). Imagine how much more word of mouth buzz they would generate if Waze users could confidently tell their friends about all the traffic they avoided. Take me, for instance. While I was puttering along across Lack Champlain on a boat that Waze told me to get on – rather than sending angry tweets to everyone I know that works at Waze, I would have shouted from the rooftops about all of the traffic that Waze helped me avoid.